The Matrx Flo-tech Image cushion uses a combination of a slim, shaped foam cushion base and a large gel sac covering the sacral area, increasing even weight distribution and immersion of the ischial tuberosities. This design delivers a high degree of protection to users who are at High Risk of developing pressure ulcers. 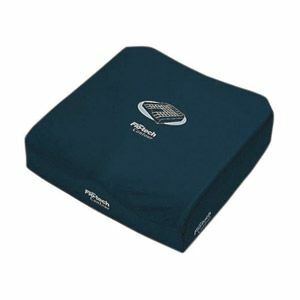 This slim cushion format is ideal for both chair and wheelchair use. The cover is two-way stretch, water resistant and vapour permeable which allows user movement, reduces the potential for shear and friction, ensures good circulation and reduces the potential for skin maceration. The cover also has an anti-slip base and carry handle. This cushion is excellent and has tripled the amount of time I can spend seated in my wheelchair which is very significant and allows me to spend a day out in it, rather than having to transfer constantly, and given the gel at the back, reclines one\'s position in the chair very very slightly, which (again for me) has been significant. 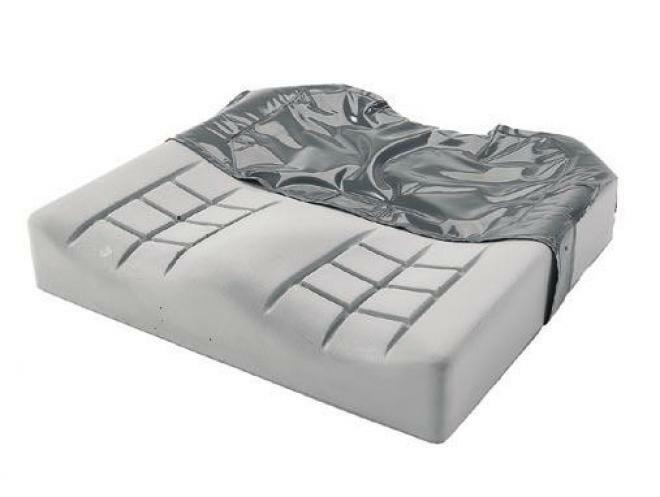 I was somewhat wary of purchasing it, because it appeared significantly cheaper than other cushions with similar levels of pressure sore protection and foam. However, given that Invacare is a well known mobility brand, I decided to take the risk, and it has certainly been worth it. The weight is not insignificant, and due to the height of the cushion, if one\'s used a flatter, shorter cushion in the past, footplate adjustments may be necessary. Be aware that each of these cushions is made to order, rather than living in a warehouse anywhere, and the delivery time is increased because of this, but nonetheless it was very much worth it as a purchase. I have sat on many cushions in my time, although mostly in various wheelchair shops, and this is the most comfortable by far. An excellent cushion, supportive, comfortable and I can actually already feel the difference it is making. Well worth the money, recommended.